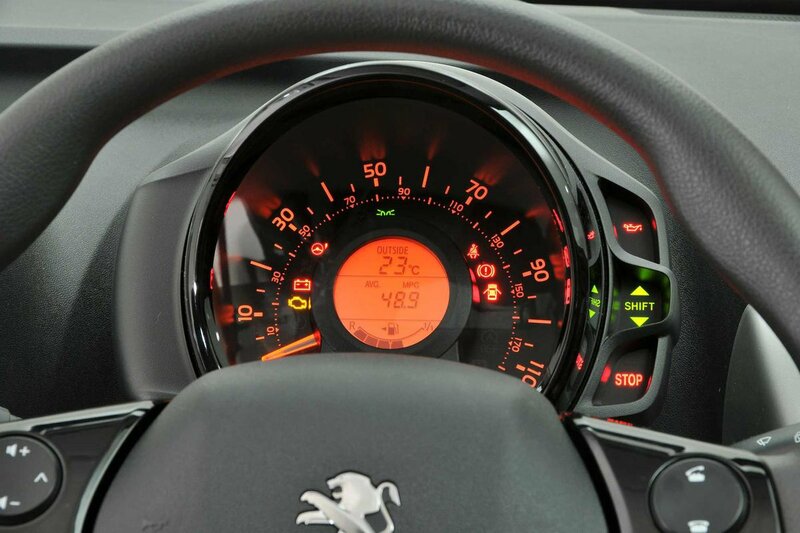 Peugeot 108 Interior, Sat Nav, Dashboard | What Car? Entry-level cars miss out on driver’s seat-height adjustment, but at least it comes as standard on next-level-up Active trim. The backrest adjustment on the driver’s seat is good, too, because it’s controlled by a more precise wheel rather than the stepped lever. The seats themselves provide decent support both at the side and for the lower back. It’s a shame, though, that the steering wheel adjusts up and down only; there’s no reach adjustment. Everything on the dash is within easy reach and the climate controls are simple to use, whether they’re the simpler rotary dials of lower trims, or the electronic climate control type higher up in the range. Good visibility is important in small cars when parking and nipping in and out of traffic and the 108’s relatively low window line and thin pillars front and back mean seeing out is easy both forwards and over the shoulder. 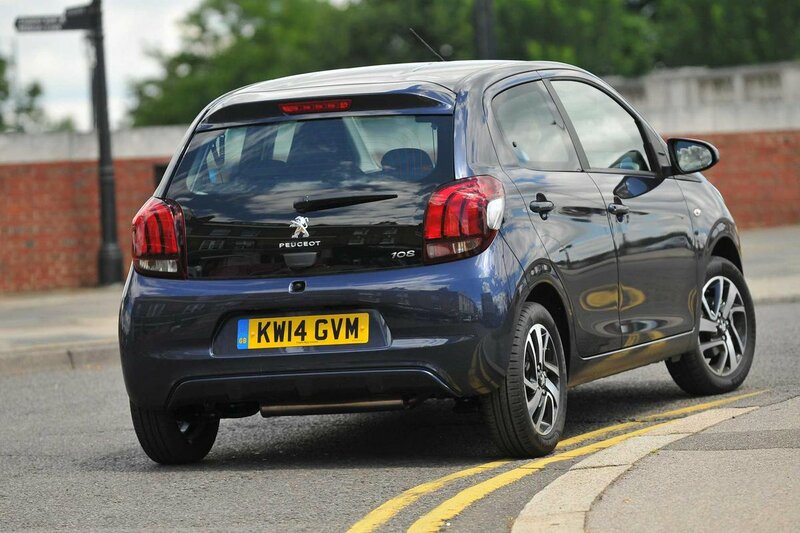 A rear-view camera comes as standard from Allure trim displayed on the standard colour touch-screen. Parking sensors aren’t available, even as an option. On all but the entry-level cars, the 108 features a simple 7.0-inch touch-screen system for controlling the infotainment, and it can also link to certain smartphones (but not the latest iPhone) and project a mirror image onto the screen, allowing you to use Google maps navigation, read your phone messages or play music. Our experience with the system is largely positive; the display is bright and clear, but with the roof down on the Top model the glare from the sun makes it impossible to read. On solid-roofed 108s this is less of an issue, though, and the on-screen buttons themselves are big, bold and very responsive. Bluetooth and DAB radio are also both standard with the screen; by comparison, you’d need to buy a top-of-the-range Hyundai i10 to get Bluetooth, and you can’t get DAB on that car at all. 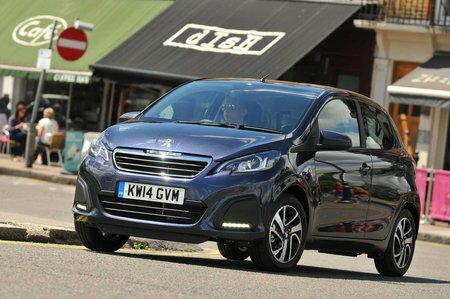 Cars in this price range are always built down to a price, but the dashboard, door cards and centre console in the 108 are all covered in hard, scratchy plastics that are a constant reminder of that tight budget. Buyers have the option to add one of three interior themes; the different-coloured plastic inserts for the dashboard improve matters, but they’re a £100 option, even on the highest trim levels. Still, overall build quality is good even in the entry-level car, everything feels solid and the switches feel sturdy enough, albeit not as substantial as a Volkswagen Up’s.